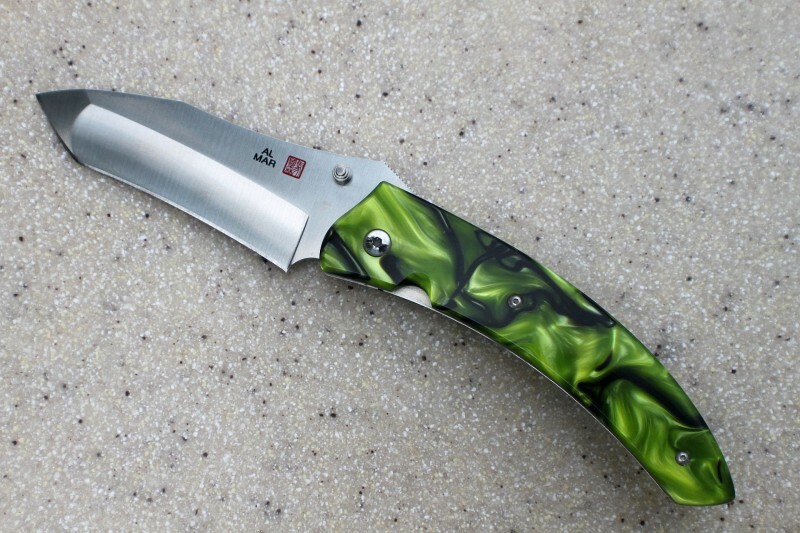 Posted on Tuesday, July 16th, 2013 at 12:49 pm under Al Mar Custom knives. Man I really like that color. I would most definitely carry or better yet wear it on my side. I’m looking for a new EDC fixed bladed knife. I can make the custom sheath for it but still looking for a quality knife that will hold up to every day use. Love that color!!! Love the color. Would love to get some. How?